Intel, the largest maker of computer processors, on Wednesday unveiled a new portfolio of data-centric solutions. These consist of 2nd-generation Intel Xeon Scalable processors, Intel Optane DC memory and storage solutions, and software and platform technologies optimised to help its customers extract more value from their data. Intel’s latest data center solutions target a wide range of use cases within cloud computing, network infrastructure and intelligent edge applications. They also support high-growth workloads, including artificial intelligence and 5G, the fifth-generation mobile network. In India, early adopters of the new data-centric product portfolio include tech companies such as CtrlS, Wipro and Zoho. 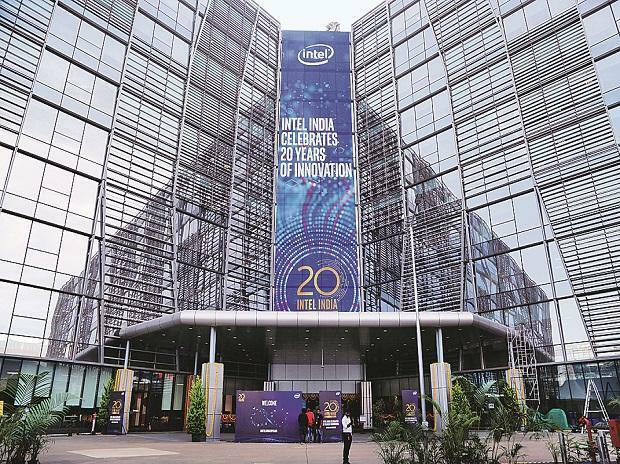 Prakash Mallya, Vice President and Managing Director, Sales and Marketing Group, Intel India, said that the company sees a huge opportunity in the country as it is generating a tremendous amount of data, where companies have disrupted traditional businesses with digital business models. He said Unified Payments Interface (UPI) an instant real-time payment system developed by National Payments Corporation of India crossed 800 million transactions in March this year and the telecom network in the country has leapfrogged from 155th position in the world in terms of mobile data consumption to becoming number one. “On top of that, you have a billion IDs digitised...So therein lies the opportunity to really shape the country’s destiny, using technology and data, with all the innovations that we are bringing together,” said Mallya. By 2020, every person in the world will generate 1.7 MB of data per second. On top of that, Mallya said, there are 200 billion devices including sensors and connected machines through industrial applications adding to that data. “But most of the data were created in the last two years and only 2 per cent of that data has been analysed,” said Mallya. Intel said that key hardware and software ecosystem players such as Acer, Cisco, Dell, Lenovo and SAP, have market-ready solutions to enable customers to efficiently deploy Intel’s latest technologies and enhance performance across workloads. Subramanian Ananthapadmanabhan, vice president, Digital Core, SAP India said that the data today doesn’t just sit inside the transaction systems, it’s actually lying outside -- in machines, products, people and processes. Rajesh Dhar, senior director - Hybrid IT, Hewlett Packard Enterprise said that his company would refresh its entire range of products in the next 2-3 months with the new technologies from Intel. “We have a very strong partnership with Intel,” said Dhar. Building on more than 20 years of data center platforms and deep customer collaboration, Intel’s data center solutions target server, network, storage, internet of things (IoT) applications and workstations. Intel said the portfolio of products advances Intel’s data-centric strategy to pursue a massive $300 billion data-driven market opportunity. Intel said the data-centric processors that the firm released represent the most expansive portfolio of Intel Xeon processors in the company’s history with more than 50 workload-optimised processors. They are complemented by dozens of custom processors designed with deep engineering engagements with customers. The company said the broad ecosystem support and rapid customer adoption is expected to make the 2nd generation Intel Xeon Scalable the company’s fastest Intel Xeon processor ramp. One of the features includes integration of ‘Intel Deep Learning Boost’ technology optimised to accelerate AI inference workloads like image-recognition, object-detection and image-segmentation within data center, enterprise and intelligent-edge computing environments.